Unusually heavy fog is wreaking havoc on several cruises set to sail today out of Tampa. As a result, several ships are seeing their departure delayed and their itineraries altered. Unfortunately, things didn’t go as planned. As of 11 a.m. Sunday, Carnival was telling people via text “The Port of Tampa remains closed. Please do not proceed to the cruise terminal until you receive our final update. Next update: 2 p.m. EST. 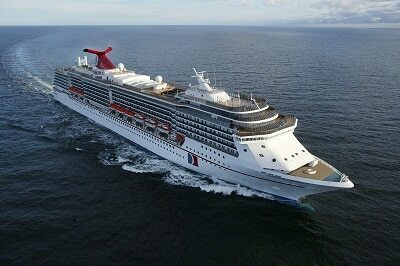 (Passengers needing further updates can text CCL1 to 278473 (aka CRUISE). They say that on a clear day you can see forever… but on a foggy day, the Brilliance of the Seas winds up stuck in port! Meanwhile, several passengers on board reported on social media that because of the delays, their itineraries would be altered. But no solid details could be given until the ships were given the all-clear to set sail. And of course, as inevitably happens in such situation, those who found their vacation interrupted wanted to know how they would be compensated.